Official SpookyBear events run Thursday through Sunday. Each year Provincetown's SpookyBear event gets bigger and bigger, with more bears in attendance and more activities, too. It is presented by The Northeast Ursamen, a non-political, gay fraternal organization that exists to provide bears and their admirers with opportunities to meet and enjoy time together in a variety of safe and fun social events. The group was founded by a couple of dozen men in the Hartford/Springfield area in October of 1992, making it one of the longest-running Bears clubs in the country. There are many events and parties, with prizes for costumes, of course. Click the link above to see a fun video about the superheroes and villains seen above, and a complete schedule of events ranging from Tea Dances and parties to the screening of the cult classic Rocky Horror Picture Show (free, everyone invited) at the Crown & Anchor Cabaret Friday night at 8 PM, to the Farewell Breakfast Buffet on Sunday. It's always great to have the Bears in town. PBG website offers huge list of events. 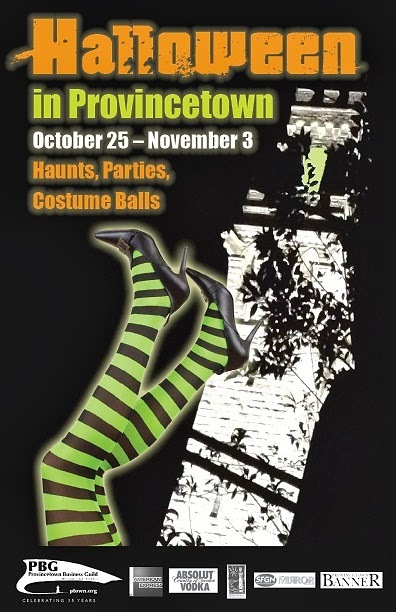 Click this link to Halloween in Provincetown, 2013 to visit the Provincetown Business Guild page presenting a comprehensive list of events and attractions found in Provincetown this Halloween season. One of this year's highlights will be the return of the biennial "Hell Town on Winthrop" tonight, Oct 29th, from 7:30 PM to 10 PM. Their blurb on the PBG site promises "blood-curdling screams, howls from hell and bone-chilling cries for help. Take a stroll down Winthrop Street if you dare and experience for yourself that FEAR IS REALITY. Ghosts and ghouls and twisted souls are waiting for you behind every fence and every corner and maybe even up in the trees. Beware and keep your eyes open, your senses about you, and hold tight to your friends…one misguided step, one quick turn of your gaze and you may be dragged down to the underworld. Enter at your risk and exit if the demons allow it. Not for the faint of heart." A suggested donation of $5 benefits the Soup Kitchen in Provincetown, but all are welcome. Presented by Richard Conley, The Watership Inn, Bayberry Accommodations & The White Wind Inn. For further information please call 508-487-0094. Annual Ghost Town attraction runs Thursday - Sunday. Click this link to read the story of the fictional 1736 village of Provincetown, featured in the 5th Annual Ghost Town indoor haunted attraction, found at the Aquarium, 209 Commercial Street. This entertaining website offers information and tickets, as well as a spooky video. 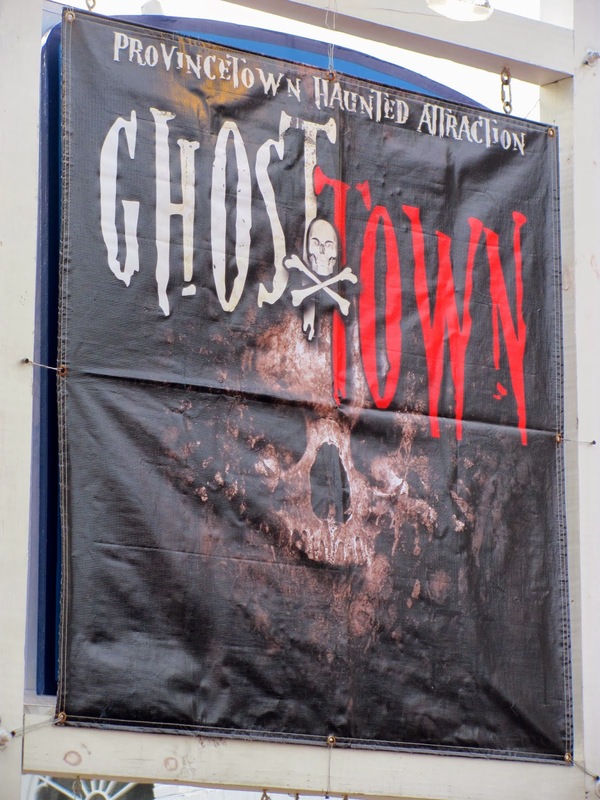 You'll be warned to "prepare yourself for a frightful journey through condemned buildings, pirate ruins and scary grave-sites as you encounter terrifying creatures of the living dead. Keep your wits about you as you wind your way through areas of death, decay and doom trying to find your ultimate escape." For more information call 508-487-9601. The Beaux Arts Ball is a spectacular party and dance to be held at Town Hall on Saturday, November 2nd, with revelers expected to show up in full costume. This event was a long-running PTown tradition from 1915 until the 1950s, and was revived in 2011. This year's special guest Taylor Dayne will perform, and VIP ticket holders will get a chance to meet her, along with enjoying many other perks offered to those who buy the upgraded ticket for this fundraising costume ball. Proceeds will benefit Town Hall, Provincetown International Film Festival and Helping Our Women. 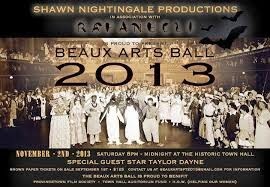 Visit the Beaux Arts Ball website for info and tickets. There's something for everyone this Halloween, and simply being on the streets and watching all the costumed revelers each night is always great fun. Happy Halloween!